When we first meet Ramona Quimby, she’s only 4 years old and already showing signs of greatness. She can secretly summon 15 friends to her house without her mother suspecting a thing -- at least until the children start arriving on the doorstep, expecting a party. She can ruin two birthday cakes in a single day, turn the house upside down with only a box of apples, and make herself the center of attention anywhere, any time -- with or without the paper Easter bunny ears she proudly dons for, say, a trip to the library. And back in 1955, when she made her title-character debut in “Beezus and Ramona,” the little girl with big brown eyes and a talent for trouble was just getting started. Over the next six decades, she would appear in seven more books, a Hollywood movie and libraries from coast to coast. Amy Poehler would celebrate her girl power. Generations of schoolchildren would embrace her as one of their own. Judy Blume characters would walk in her footsteps. “Ramona was kind of ground-breaking,” says Diane Foote, curator of the Butler Children's Literature Center at Dominican University. Not bad for a kid with a green-haired doll and questionable impulse control. 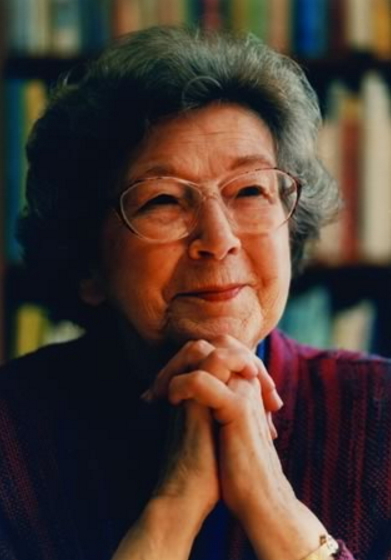 And not bad for Beverly Cleary, the beloved author of the Ramona books, the Henry Huggins books, “The Mouse and the Motorcycle,” and the Newbery Award-winning “Dear Mr. Henshaw.” Cleary, who turned 100 on April 12, has created books that have remained outrageously alive and effortlessly entertaining despite the transition from phone booths to cell phones, Elvis Presley to Taylor Swift, Dwight D. Eisenhower to Barack Obama. What makes Cleary so great, so lasting, so likely to be read in the decades to come? Henry Huggins was in the third grade. His hair looked like a scrubbing brush and most of his grown-up front teeth were in. He lived with his mother and father in a square white house on Klickitat Street. She was not a slowpoke grown-up. She was a girl who could not wait. Life was so interesting she had to find out what happened next. Before she was a children’s book author, Cleary was a librarian leading story time in Yakima, Washington, and her books are a master class in the action and humor that that keeps a fidgety young audience transfixed. She’s never short on mischief, tension and surprise, and she pulls off great comic feats with the simplest of tools. Want to see a bus turned into a whirlwind of chaos by a single skinny dog? Check out what Cleary does in “Henry Huggins” with just a steep hill, an unwieldy package and some apples. When those apples go skidding down the aisle, along with the standing passengers, you see the disaster with your own eyes, heard the thuds, feel the rising panic of the well-meaning dog. By third grade Cleary had caught up; she became an avid reader who dreamed of becoming a writer. She became a children’s librarian, but in 1949, when she was in her 30s, living with her husband, Clarence, in California, she retreated into a spare room, determined to finally write, according to the documentary. “I expected to write about the maturing of a sensitive female,” she says in the documentary. But when the words didn’t come, she thought of a little boy who had confronted her when she was a librarian in Yakima, Washington: “Where are the books about kids like us?” he said. Soon she was writing “Henry Huggins.” She continued writing after she became the mother of twins -- Marianne and Malcolm -- in 1955. Cleary, who lives in a California retirement home, recently told the Washington Post in a sharp and feisty interview that she intends to celebrate her birthday with a piece of carrot cake, “because I like it.” She’s a winner of the National Book Award and a National Medal of Art from the National Endowment of the Arts; in 2000, the Library of Congress gave her a Living Legend Award. Cleary’s books focus on the universals of childhood, and, even in the era of the Internet, they don’t seem dated. A modern kid might wonder about what a phone booth is or why children are saying “golly,” but no more than they might wonder about muggles and owl mail the first time they read Harry Potter. Everything makes sense in context, and Cleary writes with such marvelous clarity that even if you don’t know what a phone booth is, you know exactly what Henry is doing when he ducks into one to call his mom. 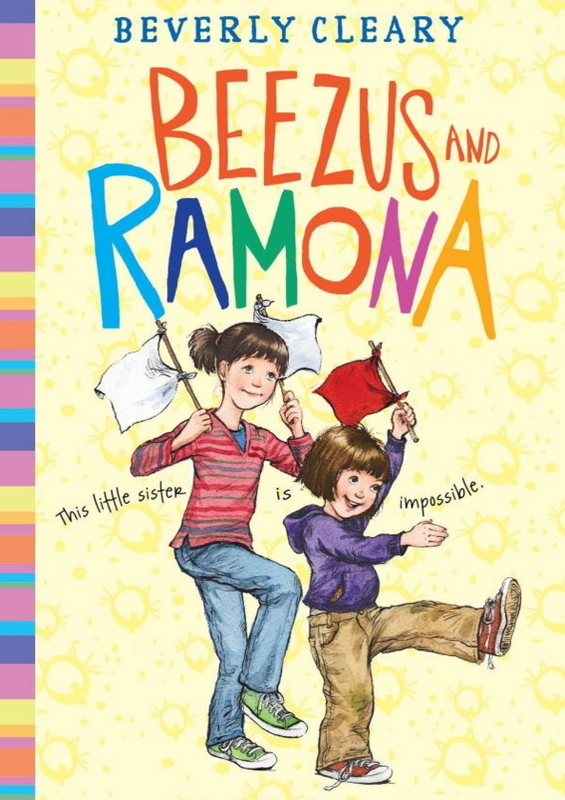 At Pleasantdale Elementary School in La Grange, teacher-librarian Maggie Smith says little kids still laugh at Ramona’s shenanigans and relate to her long-suffering sister Beezus. Smith, who discovered Cleary in 1973, is happy to oblige.